Each quarter we provide a high-level overview of the Native Advertising ecosystem so that marketers can gain a deeper understanding of their content distribution strategies. 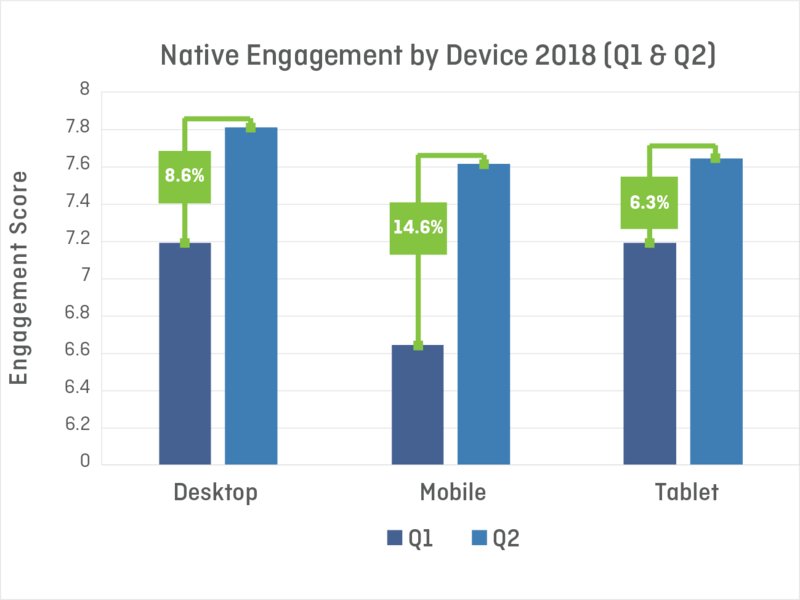 This quarter, in addition to trends in Standard Native campaigns, we took a closer look at changes in engagement by device and growing video use. If there was a story that emerged this year, it is that mobile and tablet engagement is growing at a runaway rate. In her 2018 Internet Trends Report, Mary Meeker reported a significant increase in mobile usage (and identified a ~$7 billion advertising spending opportunity), and the growth in mobile and tablet engagement agrees. Users are not only engaging with content on mobile and tablets at a growing rate, but engaging deeper and more thoughtfully. We saw a significant growth in video engagement, especially completion of click-to-play videos, proving consumers engage and engage proactively. A valuable content-first strategy has never been more imperative. While Native advertising has often been perceived as an upper-funnel strategy used to increase brand awareness, content now sits at the center of brands’ marketing campaigns and is used to connect and engage with consumers at all stages of the consumer lifecycle to drive results. Engagement across devices grew steadily from Q1 to Q2 of this year, but the most marked growth is in Mobile. Mobile engagement had the largest jump in growth at 14% – twice that of other devices. 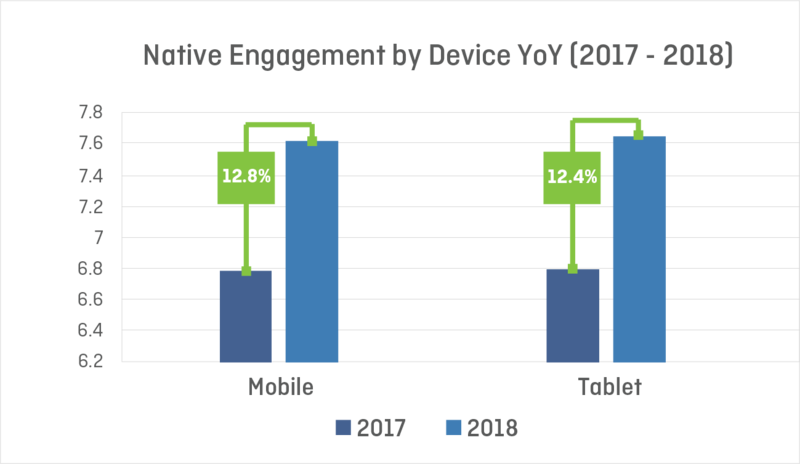 Taking a closer look at Mobile and Tablet engagement: from Q2 in 2017 to Q2 in 2018, each grew about 12% from 2017 to 2018. 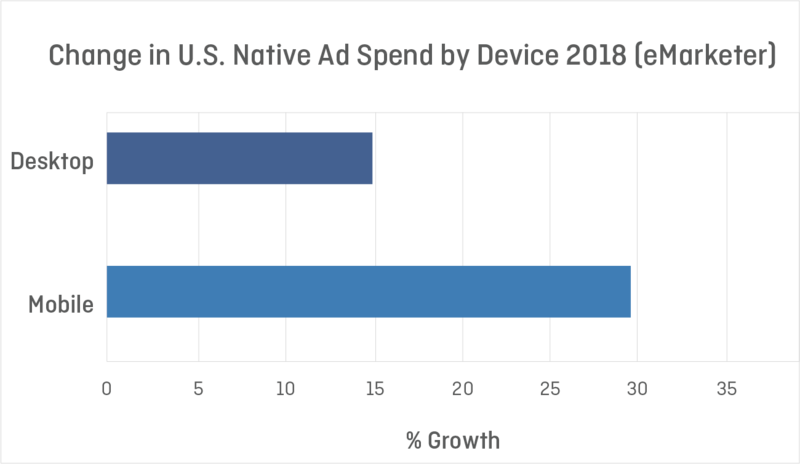 Growth in Bidtellect’s Mobile and Tablet engagement match the nation-wide trend in Native Ad Spend captured by eMarketer, who measured a 30% growth in Mobile Native ad spend versus just 15% growth of Desktop spend. 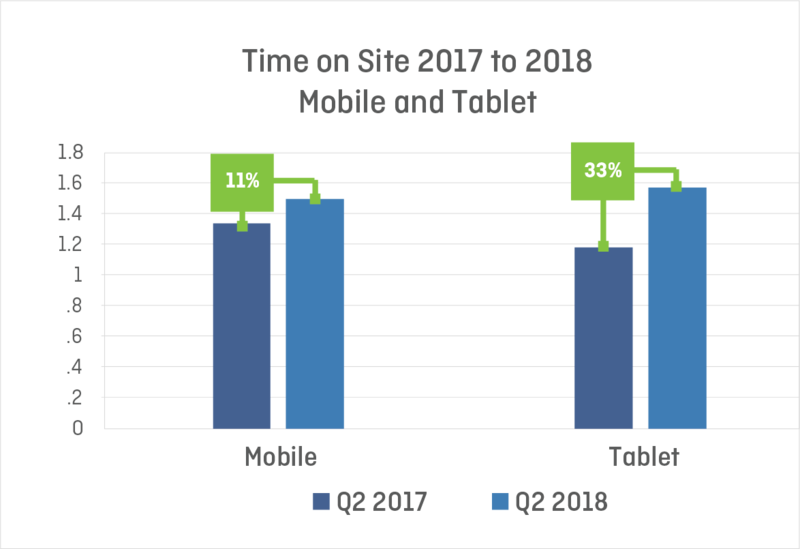 In comparing time spent on sites this quarter, consumers spent longer on their mobile and tablet devices – with tablet in the lead. 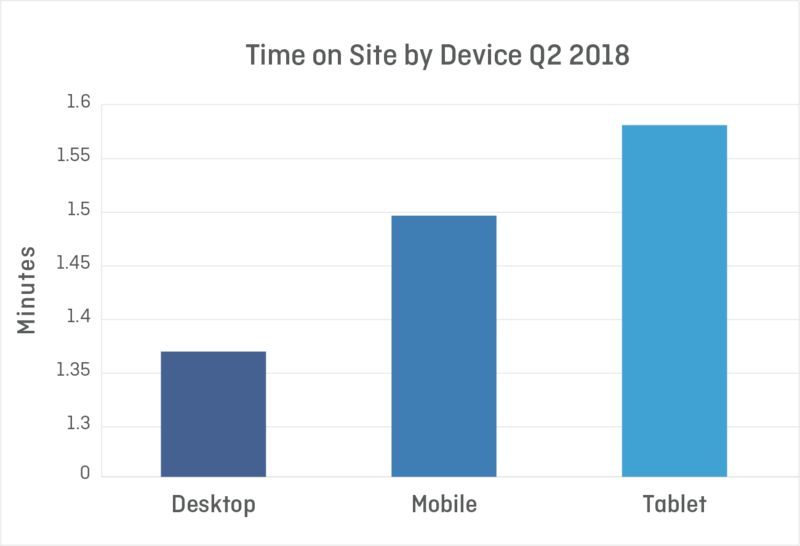 Time on site increased in mobile and tablet, with a greater jump in time on tablet; 11% and 33% in growth, respectively, pointing to a trend of consumers spending more time with content on portable devices. Mobile and tablet devices are no longer reserved for quick searches and clicks, but trending towards deeper, longer, more meaningful engagement once reserved for desktop alone. This coincides with the results found in Mary Meeker’s Internet Trends Report: mobile usage is up to 5.9 total hours per day and currently 29% of time spent in media (print, radio, TV, desktop, and mobile) occurs on mobile devices. We can expect to see continued growth in mobile and tablet engagement as users are on the phones more often, much longer, and for more important tasks. Bidtellect offers three Native video types: Outstream (Auto-Play Video), In-Feed Click-to-Play Video, and In-Feed Auto-Play Video. 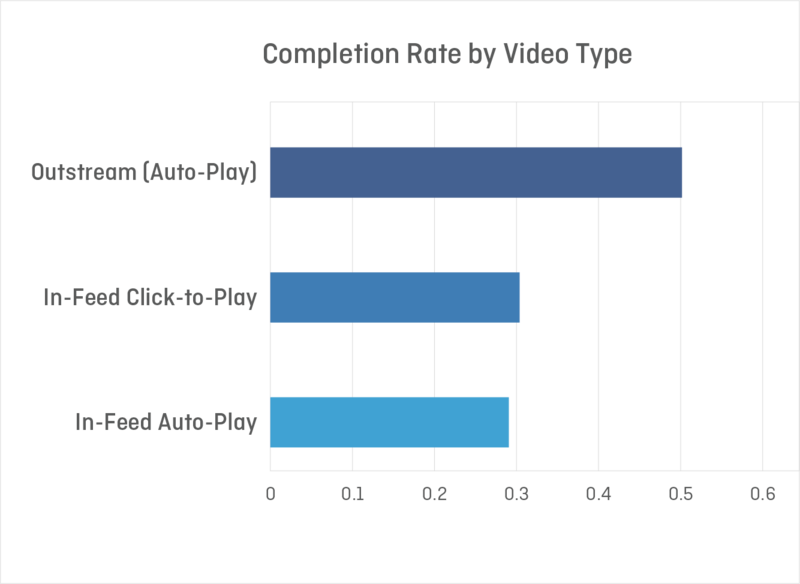 Outstream (Auto-Play Video) had the highest completion rate, a calculated percentage of times that a video is played to the end. 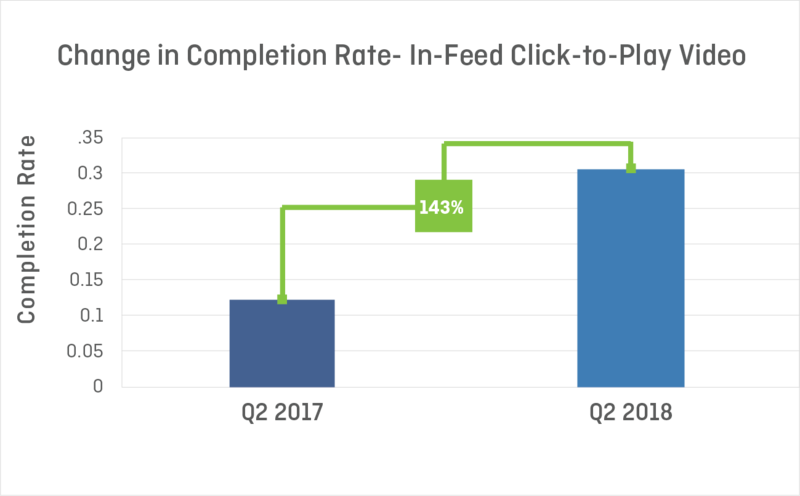 In-Feed Click-to-Play Video had the highest jump in growth from 2017 to 2018 at 143%. That a Click-to-Play type had the highest jump in engagement points to a more proactive, engaged viewer. 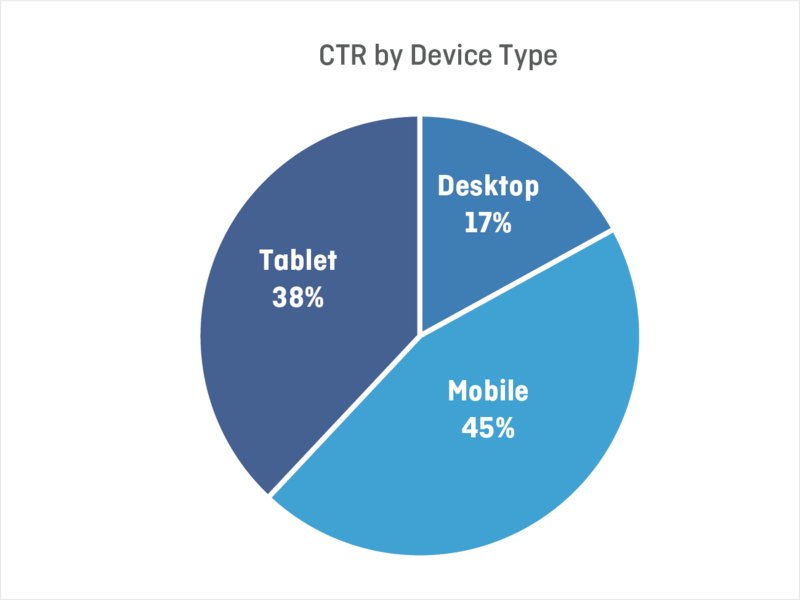 Mobile led the way in CTR by device type. At 45% – nearly half – it’s clear the trend goes beyond fat-finger clicks on the phone. 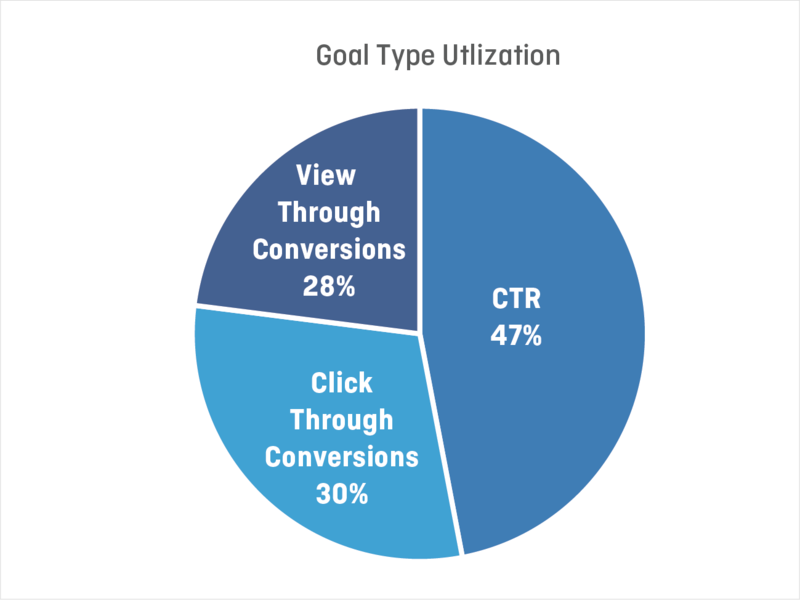 While at this time last year Click Through Conversions were the primary campaign objective, this year CTR leads the way at 47% – almost half. View-Through Conversions emerged as a new priority for marketers as Native video usage continues to expand. Not surprisingly, Home & Garden was the most engaging publisher category this quarter as spring cleaning, gardening, and home improvement projects tend to shoot up in popularity in the months leading into Spring, while the News category engagement level captures the notable year in current events. Personal Finance and Science are new highly-engaging categories compared to last year, as are Travel and Sports. Food & Drink and Law, Gov’t & Politics are typically highly-engaging categories as the former can reach both highly-localized markets as well as broader regions, while the latter has stayed highly-engaging since President Trump took office. Bidtellect’s Quarterly Native Report was created to provide advertisers with important insights and trends in the Native Advertising industry. Bidtellect’s platform processes over 10 billion Native auctions daily across 58 million distinctly targetable placements, and this number continues to grow quarter over quarter. We collect data from the start of an auction through post-click consumer activity including but not limited to the metrics captured in this report. Want to learn how to make quality content experiences for your consumers? Contact us at marketing@bidtellect.com to learn how!